June 05, 2018 — PORTLAND, Ore.–(BUSINESS WIRE)–Standard Insurance Company and The Standard Life Insurance Company of New York (The Standard) have announced the launch of their latest Individual Disability Insurance (IDI) products in New York and Connecticut. Platinum Advantage and Platinum Advantage Guaranteed Standard Issue (GSI) provide individuals in these two states with the opportunity to protect their income after experiencing a disabling illness or injury. Platinum Advantage offers clients flexible, cost-effective plans tailored to their unique needs, occupations and lifestyles. Policies start with robust features such as a guaranteed renewable contract and two ways to help policies keep pace with salary increases. These include an Automatic Increase Rider and a Benefit Increase Rider, which are built into all eligible policies at no cost. Building on these strong core benefits, Platinum Advantage offers additional riders, including three Residual Disability Riders, a Noncancelable Policy Rider, an Own Occupation Rider, an Indexed Cost of Living Benefit Rider and a Catastrophic Disability Benefit Rider. The combination of a strong base contract with flexible enhancements puts customized protection in place for individual policyowners. New York and Connecticut employers can now use Platinum Advantage GSI as a recruiting and retention tool for highly compensated employees. These high earners often need coverage beyond what is provided by group long term disability plans. Platinum Advantage GSI policies offer employers with the choice of enhanced riders, including three Residual Disability Riders, a Regular Occupation Definition of Disability Rider, an Own Occupation Rider, a Catastrophic Disability Benefit Rider and an Indexed Cost of Living Benefit Rider. For more information about Platinum Advantage/Platinum Advantage GSI and their full list of features, producers can visit www.standard.com/di or talk with their general agent. 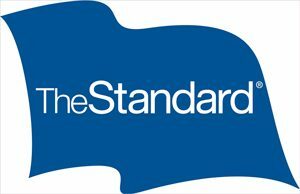 The Standard is a leading provider of financial products and services, including group and individual disability insurance, group life and accidental death and dismemberment insurance, group dental and vision insurance, absence management services, retirement plans products and services, individual annuities and investment advice. For more information on The Standard, visit www.standard.com/di. The Standard is a marketing name for StanCorp Financial Group, Inc., and subsidiaries. Insurance products are offered by Standard Insurance Company of 1100 SW Sixth Avenue, Portland, Oregon, in all states except New York, where insurance products are offered by The Standard Life Insurance Company of New York of 360 Hamilton Avenue, Suite 210, White Plains, New York. Product features and availability vary by state and company and are solely the responsibility of each subsidiary. Each company is solely responsible for its own financial condition. Standard Insurance Company is licensed to solicit insurance business in all states except New York. The Standard Life Insurance Company of New York is licensed to solicit insurance business in only the state of New York.